In a decision based on long-term climate projections, the 9th U.S. Circuit Court of Appeals on Monday affirmed ringed seals in Alaska as threatened under the Endangered Species Act. The ruling could result in limits on oil and gas projects and other activity in the Arctic. It reverses a 2016 decision by U.S. District Court Anchorage Judge Ralph Beistline. The National Marine Fisheries Service in 2012 listed the Arctic ringed seal as threatened, based on long-term climate-model projections showing its sea-ice habitat shrinking. The agency's finding that the seal "was likely to become endangered within the foreseeable future – was reasonable and supported by the record," the appeal court's decision says. The state of Alaska, the Alaska Oil and Gas Association, and other groups had challenged the listing. In a related case, the U.S. Supreme Court in January decided not to review the appeals court's conclusion upholding the threatened listing of Alaska's bearded seal. The bearded and ringed seals are "closely related," the appeals court said Monday. The bearded-seal case adjudicated the same issues, and the court is bound by that precedent, the appeals court said. The Alaska Oil and Gas Association, the state of Alaska and other plaintiffs had challenged that listing as well. Kara Moriarty, president of AOGA, called the decisions disappointing. She said there are millions of bearded and ringed seals worldwide. "The ESA listing was made despite a lack of sufficient scientific evidence to suggest that the species would be threatened any time in the near future," Moriarty said. "Under such a standard, virtually any and all species could be listed as threatened or endangered under the ESA. 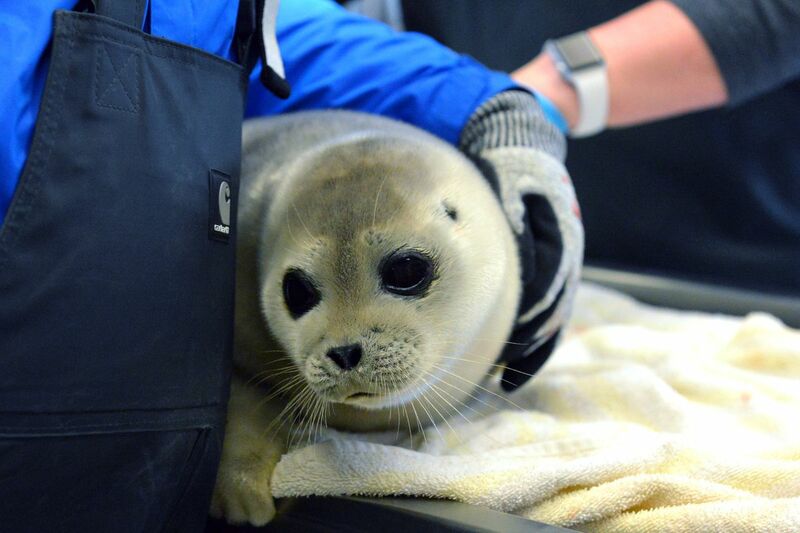 All this will do is add additional cost and burden to our industry for seals with extremely healthy populations." Kristen Monsell, senior attorney for Center for Biological Diversity, a defendant in the case along with the federal government, said NMFS will implement a recovery plan for the ringed seal and designate critical habitat. The agency in 2014 proposed critical habitat for the seal off Alaska's northern and western coasts. To protect the threatened seals, the federal government could set limits affecting industrial activity, Monsell said. Agencies may require, say a re-route of pipeline construction plans, or stopping noisy work during birthing seasons. She said the animals are imperiled by planet-warming greenhouse-gas emissions that are melting sea ice and snow caves the seals need for raising their young, Monsell said. "It's a strong indication we shouldn't be expanding offshore oil and gas drilling at all," as the Trump has administration has proposed in Alaska and elsewhere, she said.